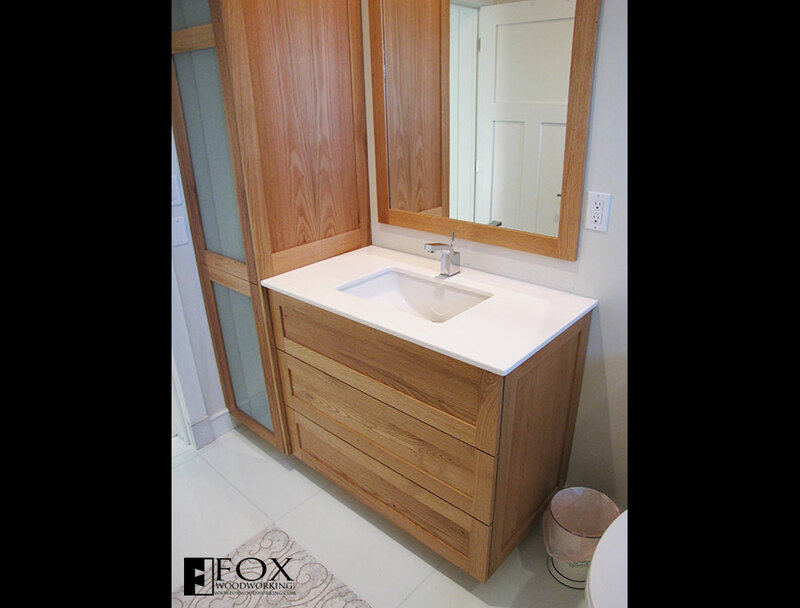 This chestnut vanity cabinet and linen closet were made of reclaimed chestnut. While the top drawer is a false drawer front, the two lower drawers are operable. They were built in a "U" shape to accommodate the plumbing. We took care during the fabrication to ensure that grain lines matched up across the cabinet elements. 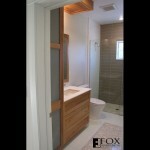 In addition, the side panels were created by bookmatching resawn boards.